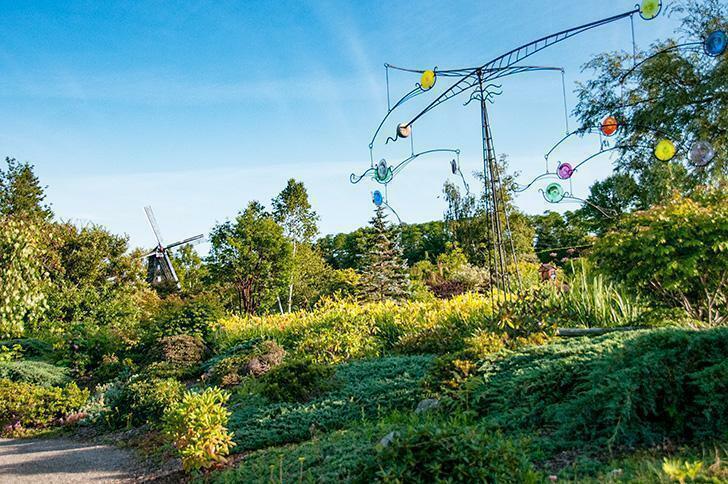 Kingsbrae Garden in Saint Andrews, New Brunswick, combines flowers, art, food, and animals making it family-friendly and one of the best gardens in Canada. 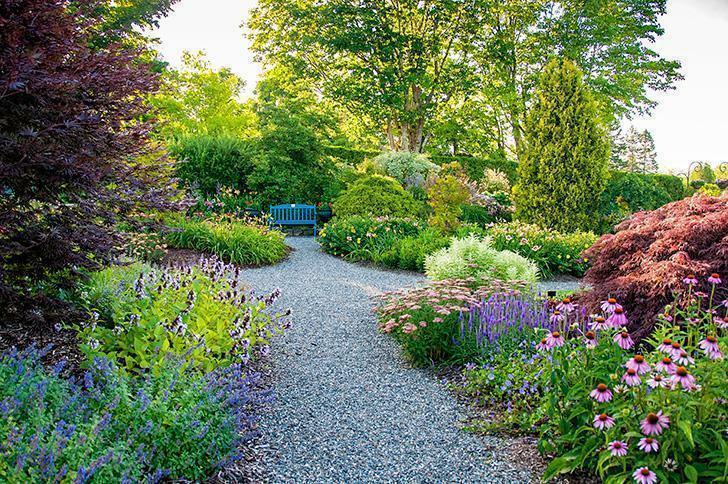 We’ve been fortunate to visit some of the most beautiful gardens in the world. Last summer, we discovered two that would easily rank on my top ten list right here in my home province of New Brunswick, Canada. 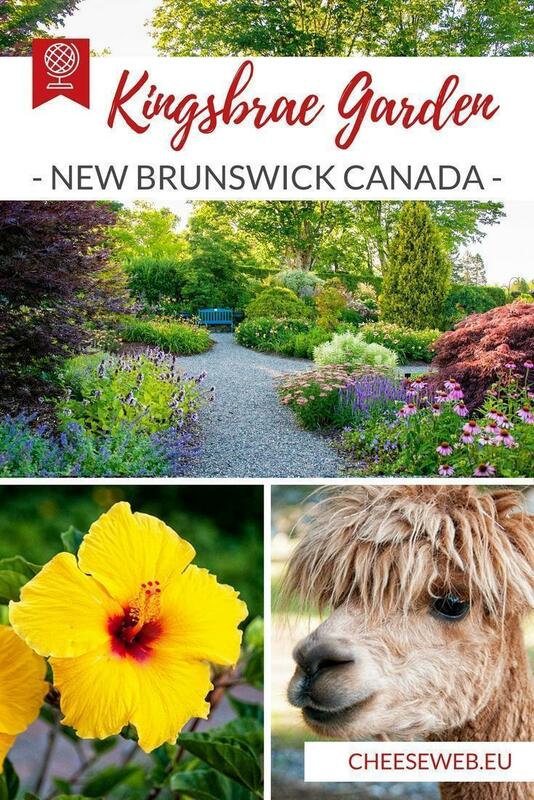 We shared our experience at the New Brunswick Botanical Garden in Edmundston, in northern NB, already. 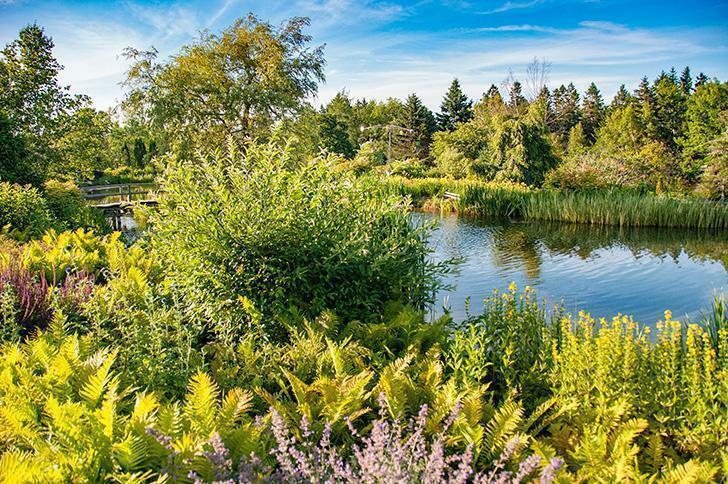 Today I want to share a botanical gem in the south of the province – Kingsbrae Garden in St. Andrews. 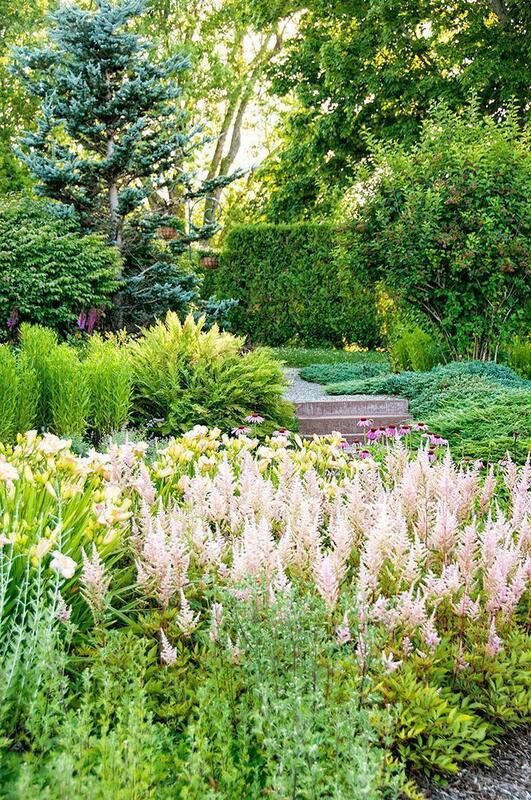 I had been hearing about Kingsbrae Garden for years. 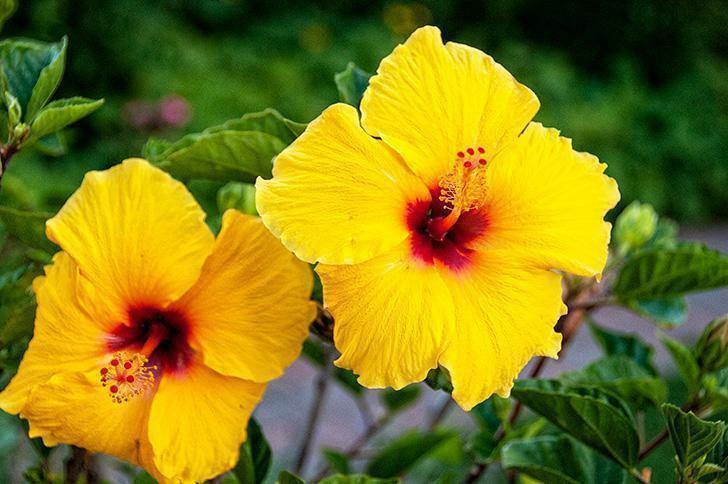 My mother, a gardener extraordinaire, had visited on several occasions, and seeing it in person had long been on my to-do list. However, our annual visits home were always too short to fit it in. Finally, last summer, Andrew and I made a day-trip to St. Andrews to check it out. 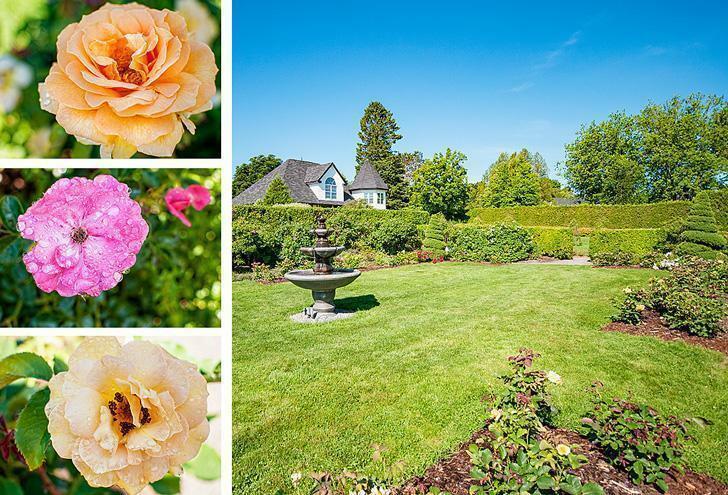 Kingsbrae Garden opened in 1998 after the property was donated by John and Lucinda Flemer. 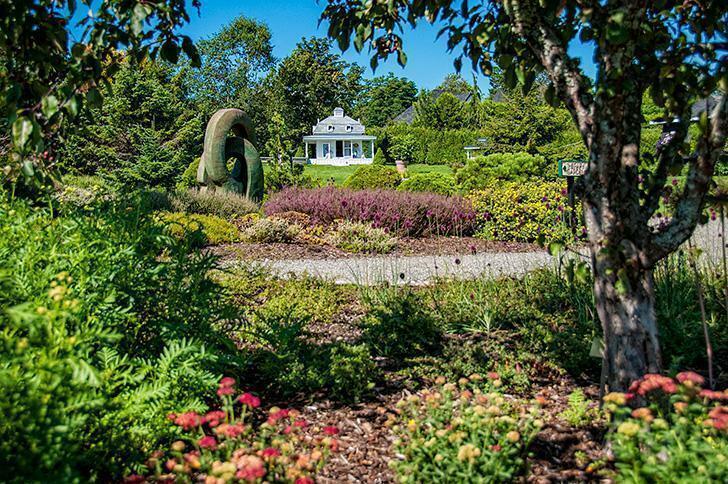 The 27-acre estate was transformed into a series of themed gardens over the span of two years. 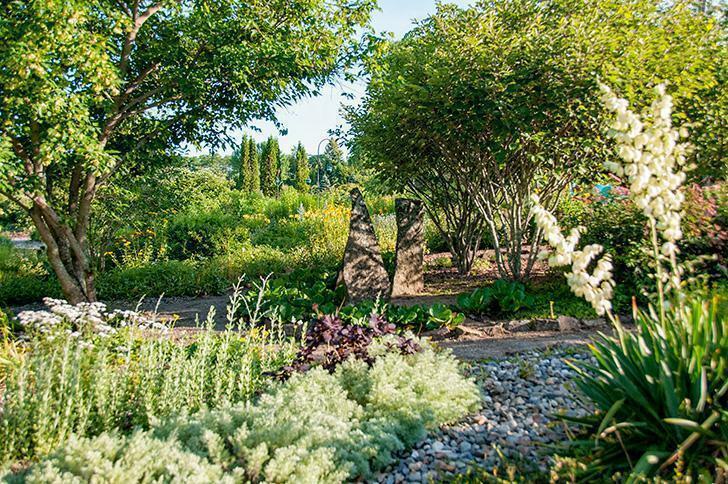 Since then, Kingsbrae has gone on to win garden design and tourism awards year after year. It didn’t take long for us to discover why. 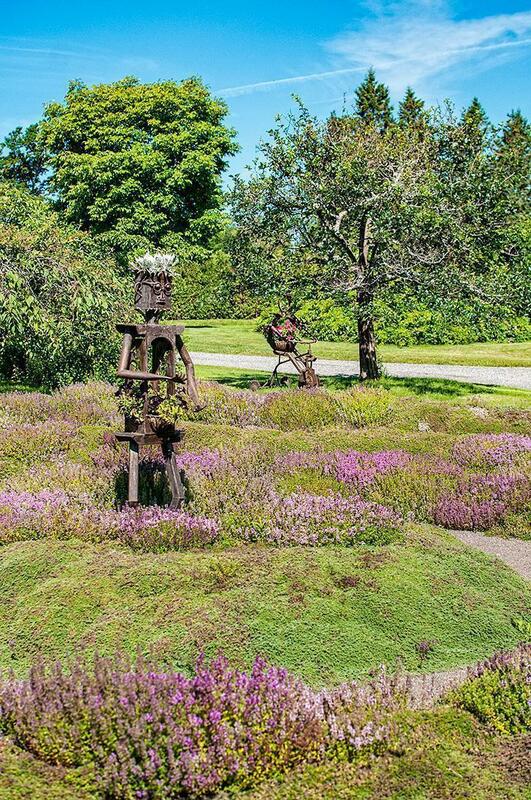 As soon as you arrive at the Kingsbrae parking lot, you’re confronted with plants and art – two constants throughout the property. 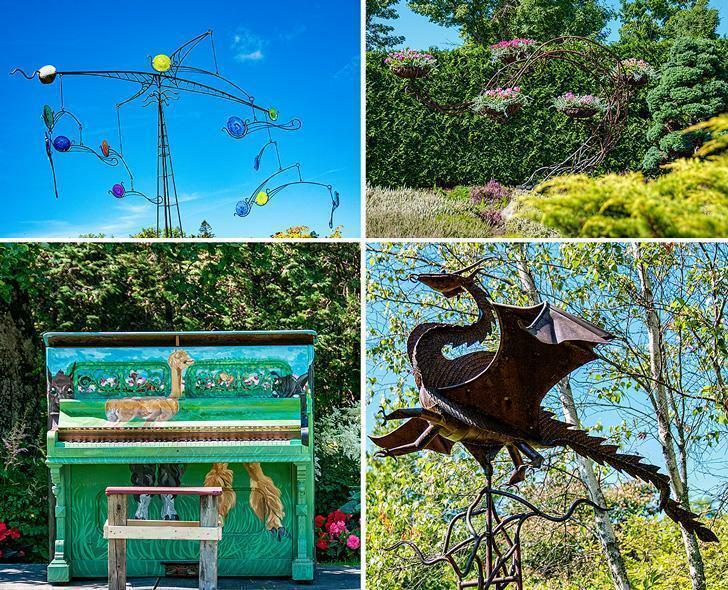 In fact, Kingsbrae is as much an outdoor art gallery as it is a botanical garden. But I’ll come back to the art in a moment. Entering the main office, we discovered a lovely little gift shop, restrooms, and the ticket counter. Kingsbrae is not-for-profit. Our day passes cost 16$ each and allowed unlimited entry throughout the day; something we took advantage of later in the day. Family passes, week-long passes, and seasonal memberships are also available. Our first stop was the Knot and Rose Garden as we were told they’d be releasing ladybugs shortly. Kingsbrae uses these little predators as natural pesticides against aphids. 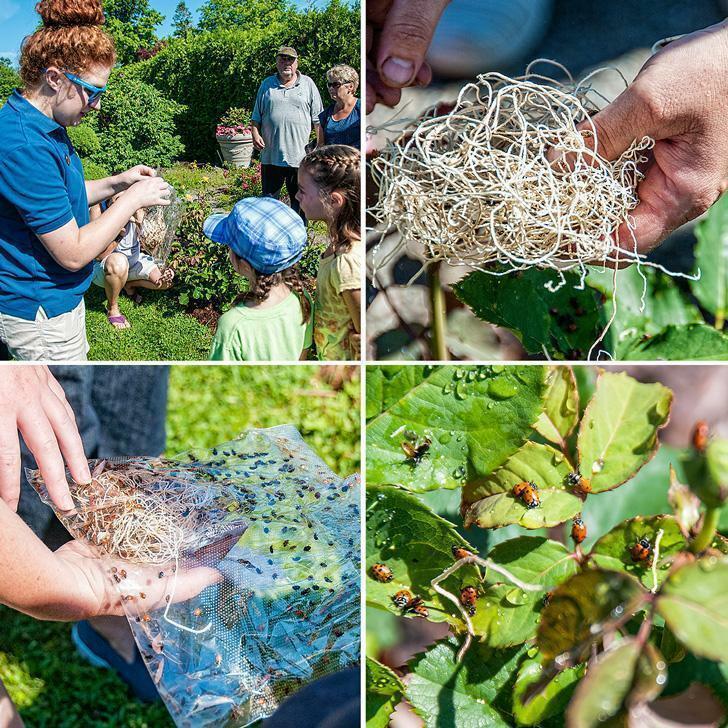 The ladybug release is one of the many daily programs throughout the summer, targeted at children. Once the ladybugs were lunching, we set off to discover the many themed gardens. 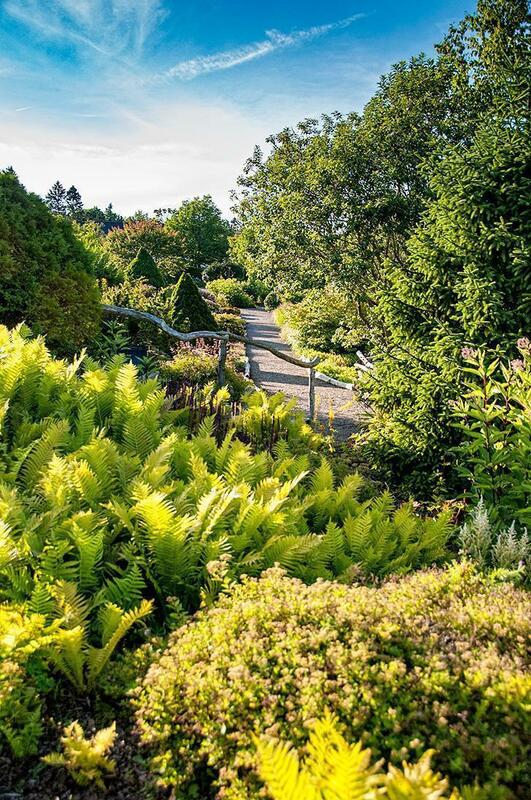 While walking the suggested route through Kingsbrae takes only an hour, you can easily spend an entire day here amidst the 2,500 varieties of plants, trees, shrubs, and flowers. 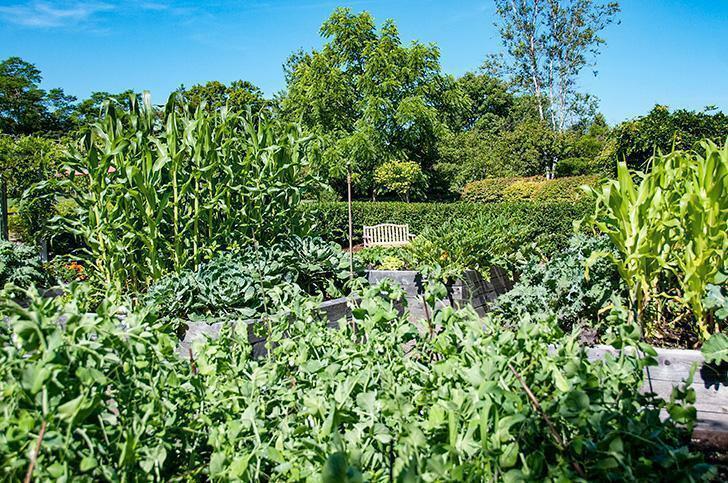 This vegetable garden joins the seniors’ home next door and residents can care for and harvest their own food. 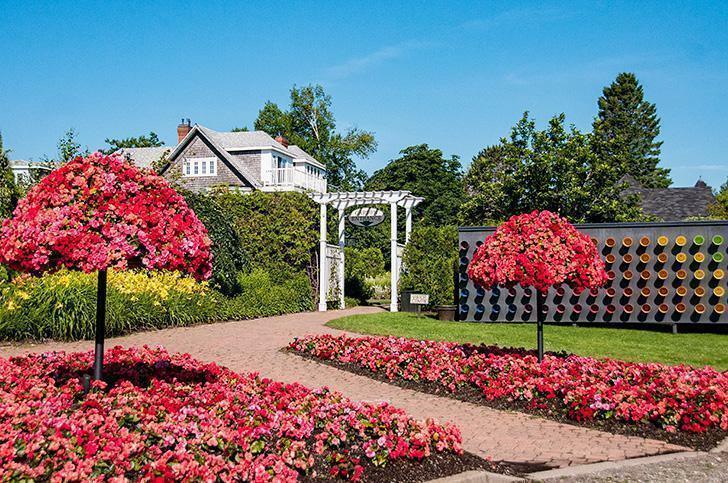 Of, course, there’s much more to Kingsbrae Gardens than plants. Around the grounds, there are a number of different structures. 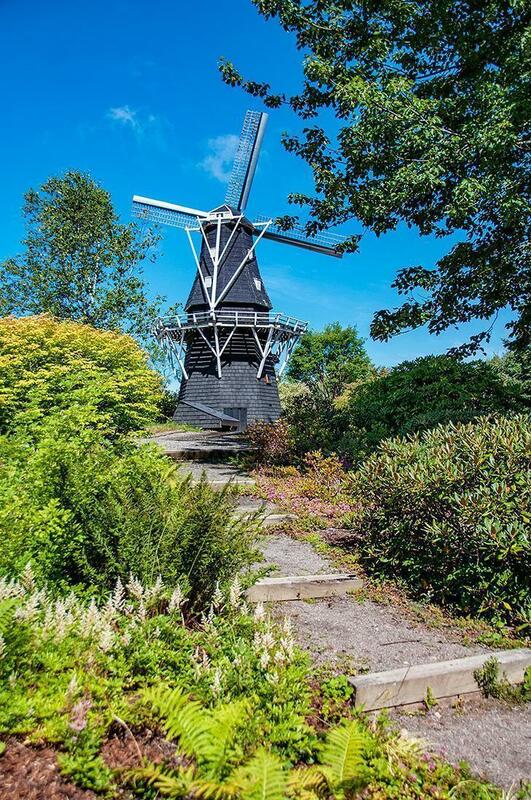 One of my favourites was the one-third scale Dutch Windmill. (It made us a bit homesick.) 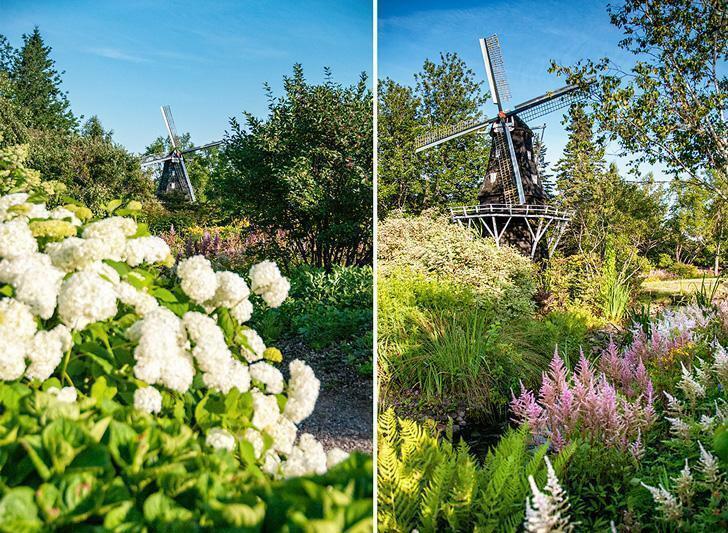 It was built in the Netherlands and is fully functioning. 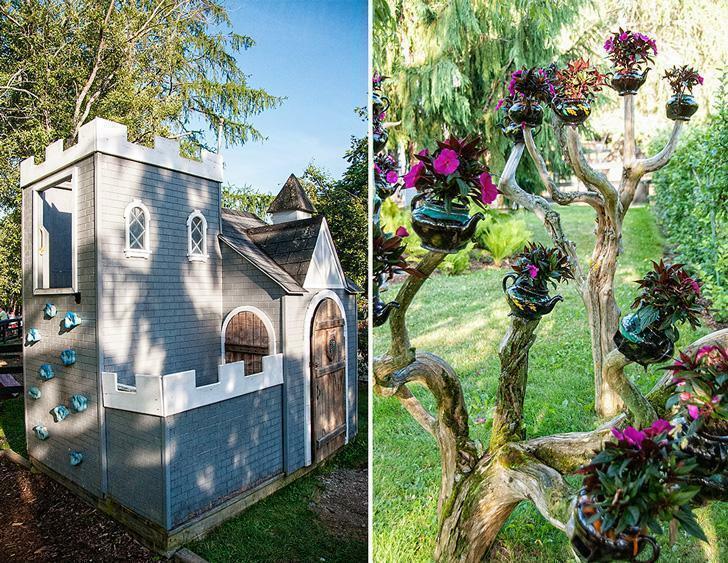 The children’s fantasy garden includes several playhouses including the adorable O’Neil Family Playhouse, built in 1894. Kingsbrae also has some four-legged residents. 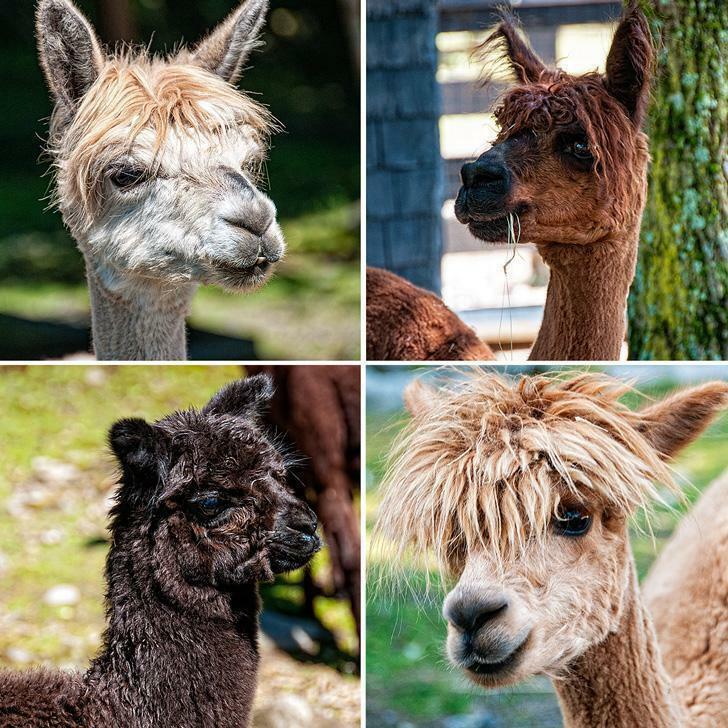 There is a troop of 11 alpacas who live in the garden year-round. During the summer, they take daily walks on the lawn and act as natural mowers. There are also some friendly goats of various breeds, including Moe, a Pigmy-Nigerian cross who thinks he’s an alpaca. Moe’s mom died shortly after he was born, so he was raised by the garden staff. 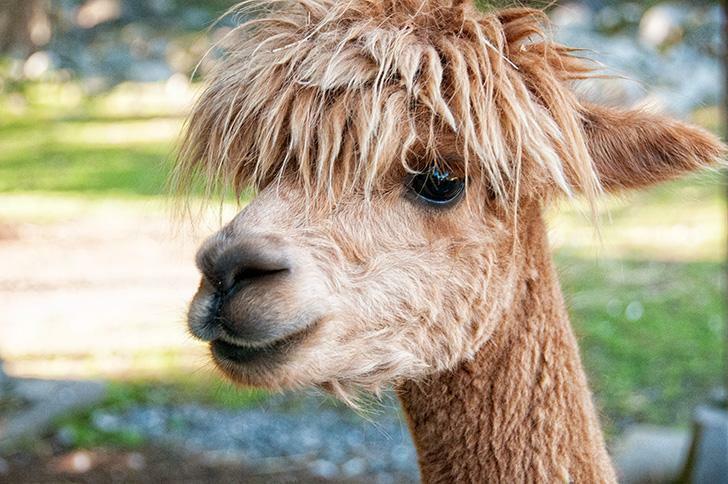 Not knowing much about being a goat, he befriended Philby the Alpaca, and now they are BFFs. Moe serenaded us when we visited his pen. 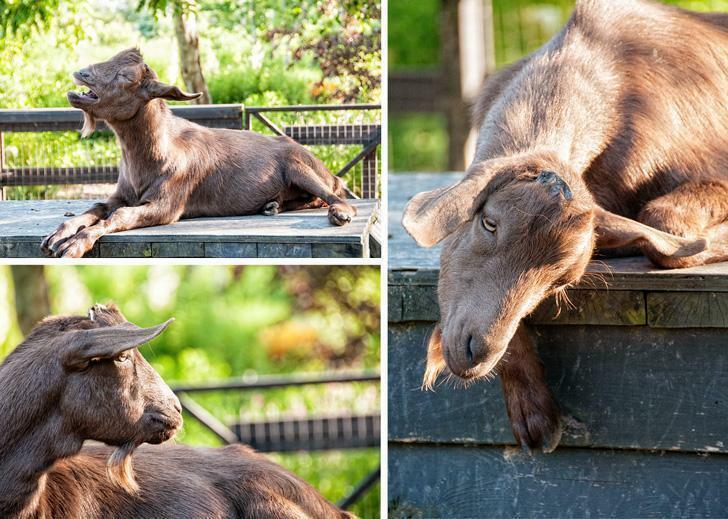 Moe the goat may be a bit confused about his identity but he serenaded us just the same. What I believe makes Kingsbrae so special, however, is the seamless marriage of plants and art. 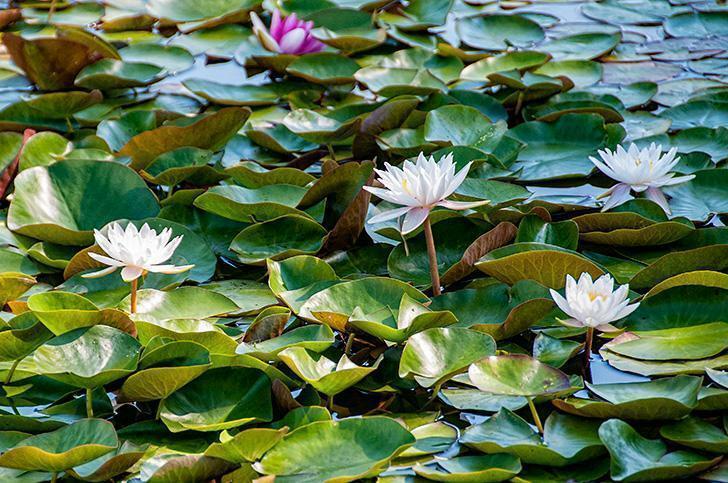 Everywhere you look around the garden is an artistic touch. A sculpture here, a painted piano there, a mosaic, a quirky statue, it’s a veritable feast for the eyes. The Sculpture Garden at Kingsbrae is home the the past competition winners. Nowhere is the art more prevalent than in the sculpture garden. 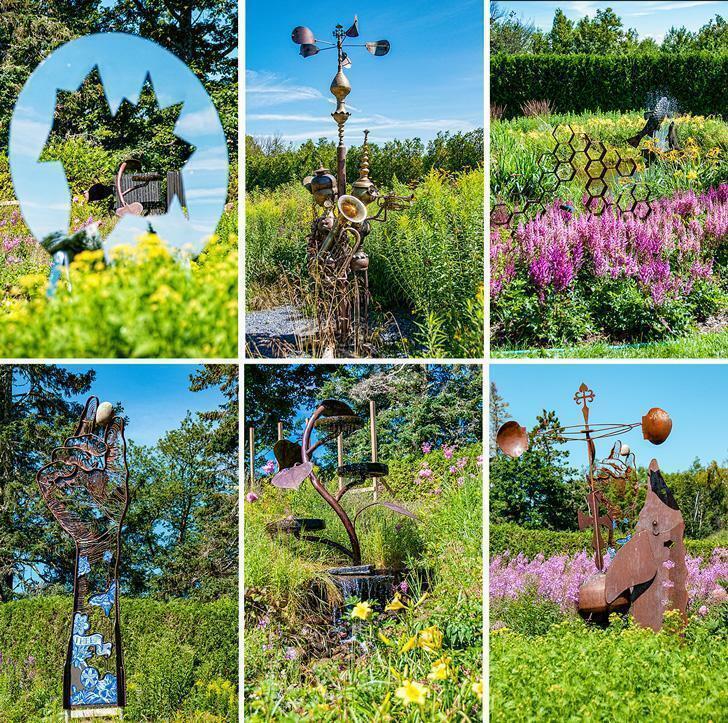 This unique garden began in 2009 with the now annual Kingsbrae Garden Canadian Sculpture Competition. Over 80 sculptures have been displayed since the contest’s inception and each year’s winners are given a permanent home in the garden. 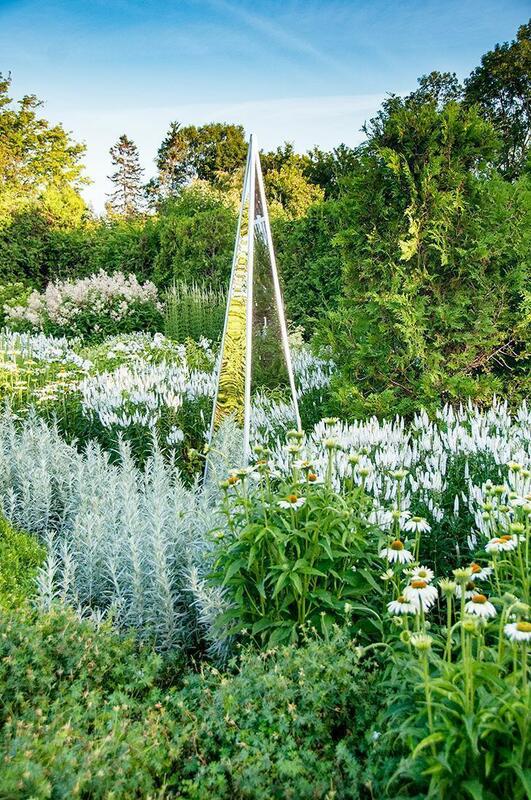 With your day-pass admission, you’re free to leave the garden and return later. 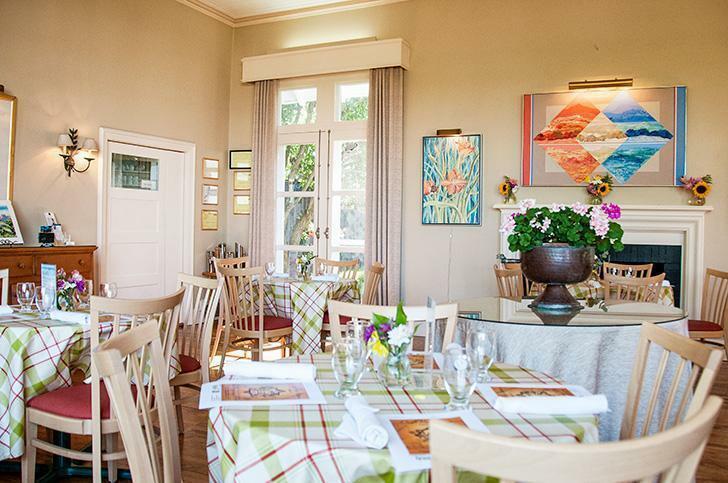 We came back to enjoy a meal at the Garden Café, and we’re glad we did. While Award-winning Chef Alex Haun and his team create fine-dining dishes as well, we were feeling casual and weren’t disappointed with our choices. 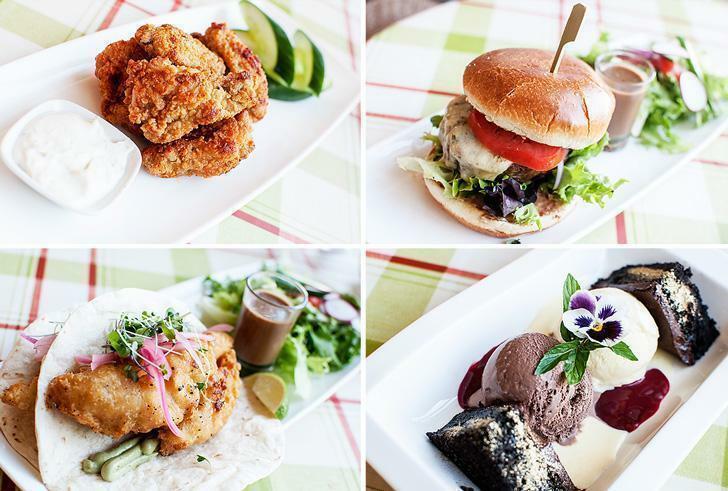 Hot wings, a burger, fish tacos, and a decadent dessert rounded out our Kingsbrae Cafe experience. The café has a lovely terrace, and we were treated to live music while we dined. There is also a small art gallery in the café with pieces for sale by Canadian artists. Even after spending most of the day at Kingsbrae Garden, I’m sure there are things we missed. 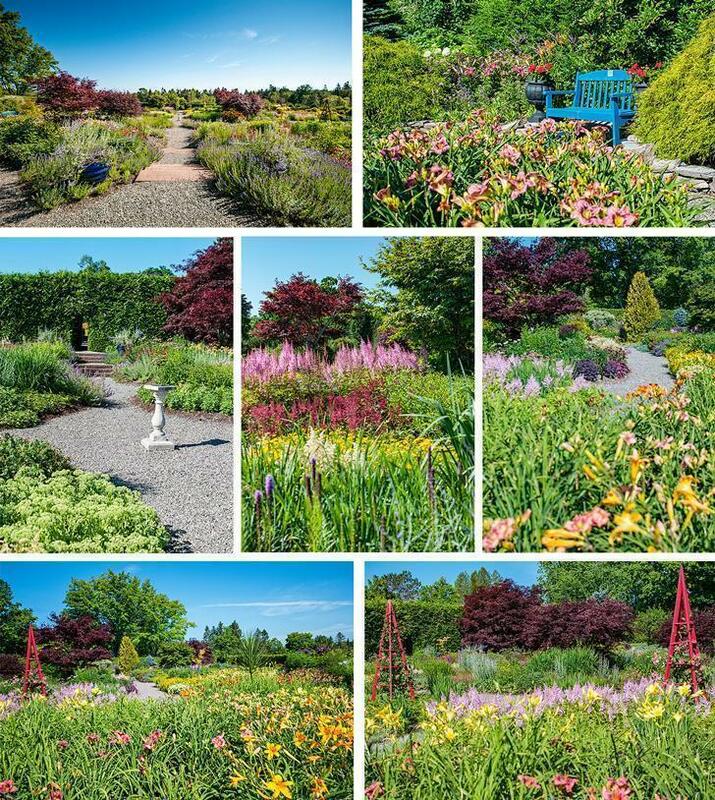 Plus, the beauty of gardens is they are always changing, so we’re eager to return and see it all again at a different time of year. 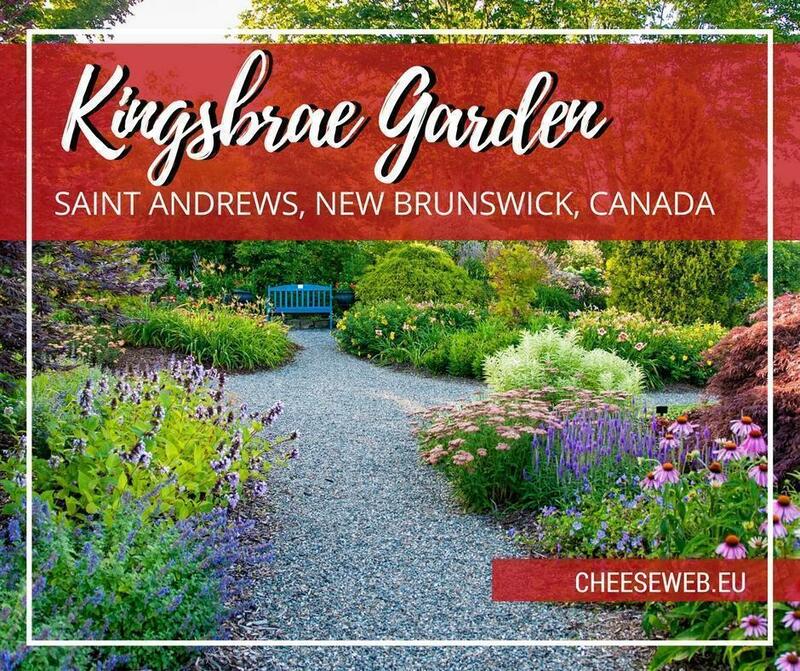 Kingsbrae Garden is an easy day-trip from Saint John, but St. Andrews is well worth visiting in its own right and has some excellent hotel options.